I’ve been doing something in my skincare routine that doesn’t sound right but actually feels right. Curious? Well, I’ve been starving my face on some nights by not moisturizing my face at all before going to bed. Okay, I know, it’s probably an OMG moment for some of you since everyone says moisturizing is so important. I’ll also admit that this was quite unthinkable because I used to slather quite a bit of stuff on my skin in the nightâ€”think toner plus serum plus oil and sometimes plus moisturizer. I’d justified the multitude of products on the basis that my skin needs nourishing and what better time than in the night during bedtime? In a way, I wasn’t wrong but I might have outdone myself with just too many products at times. Keeping it simple may actually benefit my skin and in fact, it has made my skin look fresher the morning after. So how did I get started on this idea of starving my skin regularly? It was mooted when I first read on Dr Hauschka’s website that moisturizing every night is not recommended. This is because while we sleep, our skin is actually hard at work regenerating itself, balancing oil production and expelling impurities. However, regular application of night creams interferes with these essential tasks, and over time skin becomes less able to care for itself. According to Dr Hauschka, use of nighttime moisturizers signals the sebaceous glands to cut down on moisture production, resulting in even drier skin. As a result, our skin becomes dependent on the products just to appear normal. Initially, I was a little skeptical about that concept but after having tried it over a period of time I think there is truth in that idea. However, I had kept mum about it because I wasn’t too sure if it’s something to endorse upon until I came across another Chinese article promoting the benefits of starving our skin on some nights. The same article also agrees with Dr Hauschka’s assessment that our skin is smart and has an amazing ability to care for itselfâ€”it is able to regulate, protect and renew itself and it only needs a little help along the way for the skin to achieve a natural, self-sufficient state. So what exactly is the little help? According to Dr Hauschka, balanced skin needs nothing more than cleansing and toning before bed. Well, that’s what I do sometimes. Even though I don’t moisturize, I focused more on hydrating my skin as trans-epidermal water loss or TEWL is significantly increased during the night (source). So on one of the nights in the week, I’ll apply just toner and on another night, I’ll just apply toner and serum. And for the rest of the five nights, I’ll apply toner and two different serums. Yes, I’ve skipped the moisturizer at night (except on the eye area) but mostly rely on serums as it is better to apply products with active ingredients in the night since our skin is able to absorb the active ingredients during that time. I think my skin looks better than nights when I’d applied a heavier moisturizer! Somehow, my skin comes across smoother, as if the pores are smaller. My skin does not feel oily, not even on my usual T-zone. I’ll even say it looks as if I have normal skin! However, I suspect this tip might not work too well for those with very dry skin. Or all least those with very dry skin should not starve their face just by feeding it with toner. Slapping a serum over might just work…you just have to try it for yourself to see how it’ll work for you. So what do you think of this tip? Has any of you tried starving your skin at night? Share your thoughts and experience with me! 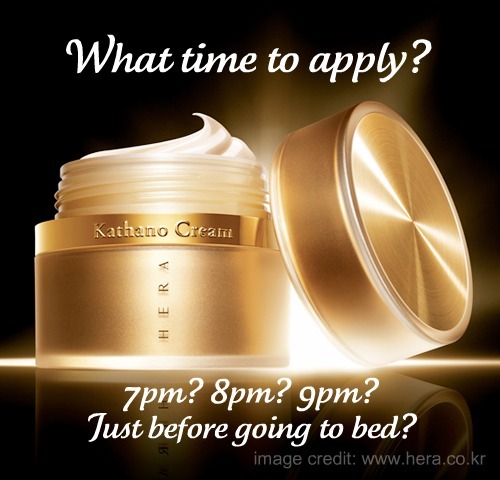 Share: what time at night do you put on skin care? Share: how regularly do you exercise? 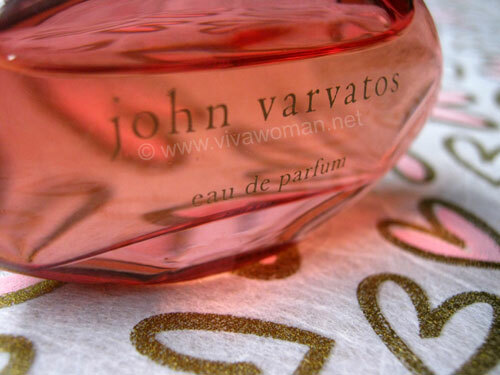 Share: do you wear perfume regularly? 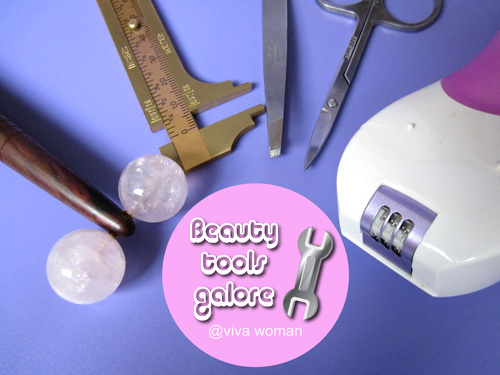 Share: is there one beauty tool you use regularly? i do agreed with this. i noticed recently that during breakouts, skipping serum & the likes heal the skin better and stopped further pimples from popping up if i just keep my night skincare routine to a minimal. i usually just apply a lil of oil after cleansing and that seemed quite sufficient. Great that keeping your skincare routine to a minimal actually helps with your breakout. I haven’t really paid much attention to how my skin has been behaving but I have definitely been skipping my moisturizer on most nights lately. Been really busy and super tired recently (going back really late doesn’t help) that after washing up, the only thing I can be bothered to apply before bed is my lip balm. the lazy girl in me says YAY!!! i’m in my early forties and have two small children so MANY nights, i’m content to just wash my face and hit the bed. and truth be told, i don’t think my face is any worse off. i think this is partly why i’ve never stuck to any beauty cream for long â€“ i don’t wake up and feel any different even when i haven’t moisturised my face the night before. what does make a difference for me is masks â€“ all sorts. how properly i cleanse my face also affects how my face looks. but then again, i could be paying the price for my laziness and not noticing it! 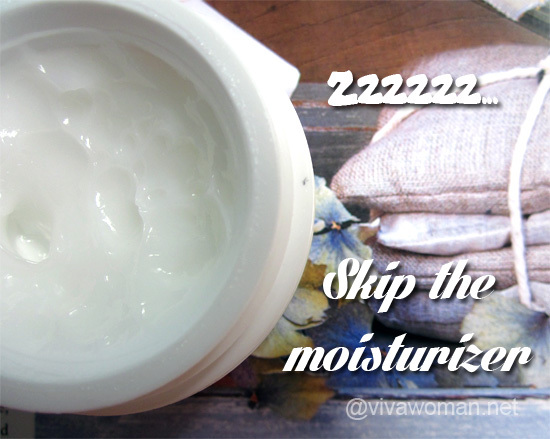 Your comments reminded me: I started out skipping the moisturizer because I had no time or was lazy. I don’t sleep in aircon room and so I can afford not to use a moisturizer. But masking definitely helps increase hydration! When I had bad cystic acne breakout, I simplified my night time skincare routine to cleanse and yogurt mask. I went to bed with only proper cleansed face for about a month and discovered that my skin healed better. So, now i do go to bed ‘bare’ when I feel my skin needs a break. Good to know it helped heal your skin better. Our skin can do with occasional breaks! I do notice that whenever I start having cystic breakout, or just breakout, I stripped down my routine with just washing and spot treatment. I notice my skin heals much faster when I stopped bombard it with so many stuff for a couple days. But not for too long though because then my skin would get so dry and dull. If you do it occasionally or just once a week, it should be all right for your skin. I’m paranoid about drying out my skin too. Perhaps you can focus on increasing hydration for the skin. That might help your skin’s oily condition. I’ve been going to bed without any products on for a few years now, long before I found out that Dr Hauschka recommended it. Well, I don’t feel so guilty for doing it after I found out about that :p Because to be honest, I didn’t put any products on before I go to bed because I kept forgetting (it started as that, then it just became a routine of not putting any products on at night). I would recommend you to try use a toner. Your skin needs more hydration. I have combination skin (slightly oily in the T-zone, slightly dry in the cheeks) and my biggest concern is clogged pores in the T zone. I had noticed that despite using exfoliating products quite regularly, my clogged pores were still there so I have been going minimal for the last few weeks; the same light cream morning and night (Madre Labs Green Tea Skin Cream) plus sunscreen in the mornings, over alcohol-free toners for combination skin. So far my skin feels and looks fine and I think it helps with the clogged pores so I will keep this routine. I was also thinking of trying collagen supplements to help with skin firming (I am on a diet) so maybe this could help with nourishing from within. How’s the Madre Labs Green Tea Skin Cream? I really like it! It’s very light, gets absorbed easily but not too quickly, leaves my skin completely mattified and I have not missed moisturizing until now. And it comes in the perfect pump! I can control exactly the amount of product I want. I cannot comment yet on its brightening effects (I am 2/3 in my first 1st bottle) but its very pleasant and hassle-free to use and it seems to help with clogged pores, so I have already stocked up for the rest of the year! I have been doing this for the past 4 years. My skin does feels smoother & tighter. However, I always have tiny pores so I don’t notice much difference to my pores. Thanks Sesame for this article! Your post does have truth in it because I feel my skin is off-balance at the moment. My cheeks feels dry but my T-zone is oily. Over the months, I have been using moisturiser to seal my skin after facial oils at night. Recently, I found that my skin is drier than usual and after reading your post, it is probably due to the over-dependency of oils and moisturiser. Looks like my skin will have to do on a diet! Hi Sesame, I have been doing this for years now….after having read (not sure where now) that it is ok to allow the skin to breathe at night. So once or twice a week, I give it a good wash and thats it! It was truly liberating for me as I tend to be very hard on myself if I forget and once I let go….I developed a nice routine where I decide based on how my skin looks that day, whether or not I want to moisturize at night. Very good for holidays I might add, when you are too tired to do anything more than have a shower and sleep! Oh, that’s good. I’m glad it’s working well for you. I used to b really lazy and not really bother with moisturizing my face. I don’t have really bad skin other that dryness and the occasional breakout related to hormones. But I decided to b really good and moisturise day and night. While it looked great initially. I started noticing that my skin craved more moisture and my skin actually looked drier if I didn’t moisturise immediately after washing. So now I’ve gone back to my lazy routine. Haha. I think it’s finding what works best for ur own skin and playing around with the frequency of skin care. Try using more toner after you wash your face and before you moisturize…your skin probably needs more hydration then moisturizing. I had dry flaky skin that wouldn’t go away even when I stopped using face soaps and foaming toothpaste. The final step that healed my dry skin completely was skipping the night moisturizer (after reading about it on Dr Hauschka’s website). Only gentle cleansing and toning everynight! My skin is now balanced and healthy! So it totally works for dry skin too!